BELGRADE/PRISTINA – The Chancellor of Austria Sebastian Kurz visited Belgrade yesterday and met with President Vučić and Prime Minister Brnabić. During his visit to Pristina today, he held talks with President Hashim Thaçi. Kurz expressed his belief that it is possible to solve the issue of Kosovo through the dialogue between Belgrade and Pristina and emphasised that the position of Austrian government is support to any solution that would lead to a long-term peace. During a joint press conference with President Aleksandar Vučić, he stated that Vienna believes that, if an agreement can guarantee peace, it should not stand in its way. “We will support it. That is the government’s position. As far as I can tell, that is a majority position in the EU. Its role is not to be an obstacle in this kind of a process, it must provide support. But, we are aware that there is a long road ahead towards a mutual agreement”, Kurz answered the question on Vienna’s red lines when it comes to reaching an agreement that could possibly include a correction of borders between Belgrade and Pristina. 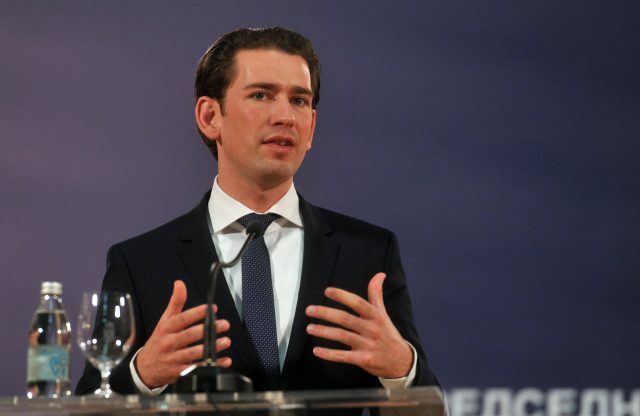 Kurz expressed his belief that the Western Balkans deserves to become a part of EU. “As a committed European, I believe that EU will only be complete when the Western Balkan countries become a part of it”, he underlined. He stressed that Austria, as a country holding EU’s presidency, is doing everything in its power to see the Western Balkan countries move even closer to the EU. Kurz also assessed that Serbia has proven itself to be a reliable partner when it comes to fight against illegal migrations and human trafficking. He thanked the country for help and support it provides in its area. During today’s visit to Pristina, Kurz stated that Austria supports Kosovo’s efforts to become a member of Interpol. He emphasised that his coalition partner, Heinz-Christian Strache’s Freedom Party of Austria, changed its mind on the subject. Namely, during the recent visit of Serbia’s Foreign Minister Ivica Dačić to Vienna, Strache announced that Austria will not support Kosovo’s admission to Interpol, nor any other international organisation, until a solution between Belgrade and Pristina is found. APA added that the government in Vienna announced that Kurz reached a deal with Strache and Minister of Interior Herbert Kickl that Austria will support Kosovo’s Interpol membership. Kurz expressed reservations about Pristina’s plan to form an Army of Kosovo and said that no steps leading to instability in the region should be taken. After a meeting with President of Kosovo Hashim Thaçi, during a joint press conference, Kurz said he expects that a real dialogue should be lead on the subject of Army, and that one should be very careful about it. Austrian Chancellor also expressed reservations about visa liberalisation of Kosovo. “I would be very careful with the expectations that are being raised, especially when it comes to deadlines”, Kurz said. 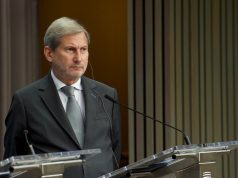 He emphasised that the absolute priority should be given to the Belgrade-Pristina dialogue. 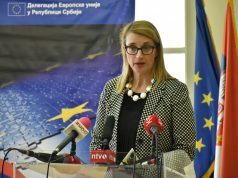 Thaçi stated that Pristina would like to see the decision of European Parliament on granting visa liberalisation implemented as soon as possible. Kurz, however, stressed that, while European Commission and European Parliament have reached a positive decisions on liberlisaiton, everything is in the hands of European Council now, N1 reports. “There are a lot of sceptical countries, this is why I am very careful with the expectations on visa liberalisation. 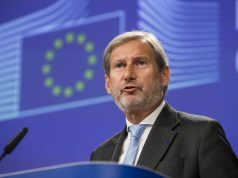 European Union expects progress in the areas of rule of law, but the main priority of is the dialogue between Kosovo and Serbia”, he said, adding that, without an agreement, no country can proceed in the process of EU integrations. 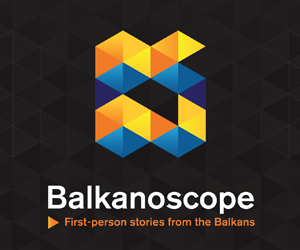 Next articleMedia freedom in Serbia: How serious the situation really is?